Cooking, baking, creating and trying new recipes, completing homework or hanging out with family and friends – it all happens in the kitchen. 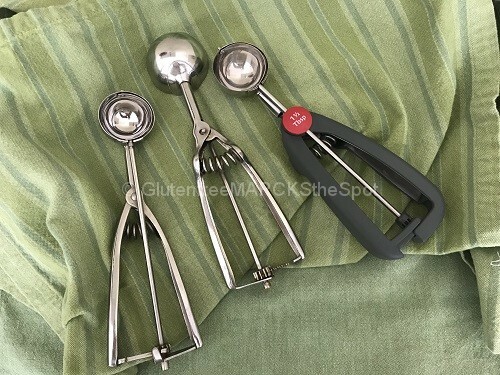 Although I am still pining for my “dream kitchen”, I do have many kitchen essentials that make my gluten-free kitchen run smoothly and easily. Adding in the right kitchen gadgets and small appliances can really be a game changer in your meal prep and helping to stick to healthy living. What are some of your top essentials you use in your kitchen every day? Honestly, we use our Ninja almost daily. It’s so easy to use, we’ve never upgraded. So, if you think you need to have the top of the line blender to make your delicious green smoothies, think again. 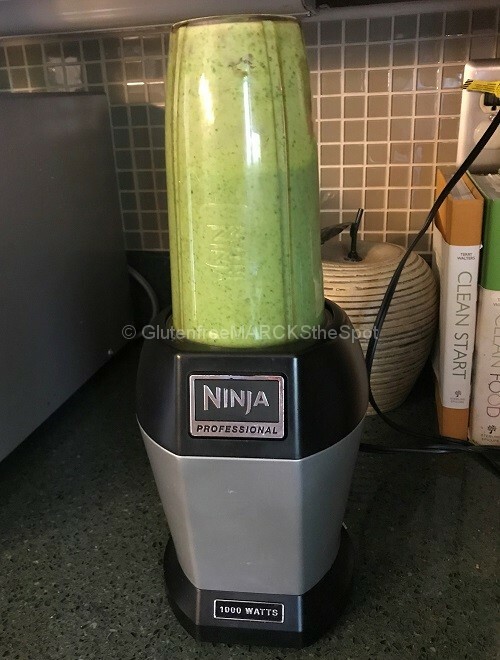 Grab a Ninja to get started and blend away! OK, so your toaster doesn’t have to be red! We have color-coded to create our safe gluten-free kitchen. All the red items are for gluten-free use only. 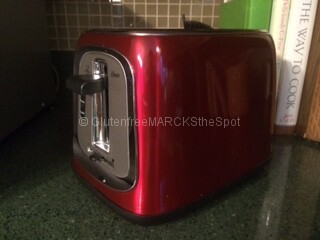 But, you still need a special toaster just for gluten-free use as this carries high risk for cross-contamination. I love our toaster as it allows guests to know exactly which toaster to use. 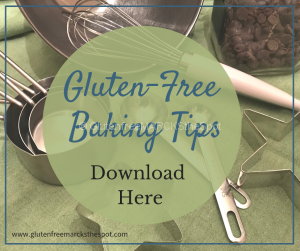 Of course, you can also just label your toaster “Gluten-Free” as well! As we continue to learn more about toxins in the environment and how they affect our bodies, it’s a good idea to start thinking about ditching your Teflon coated pans. 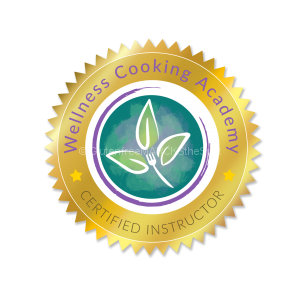 A ceramic fry pan is a healthier option to use in your kitchen. We often use ours to make our pancakes. 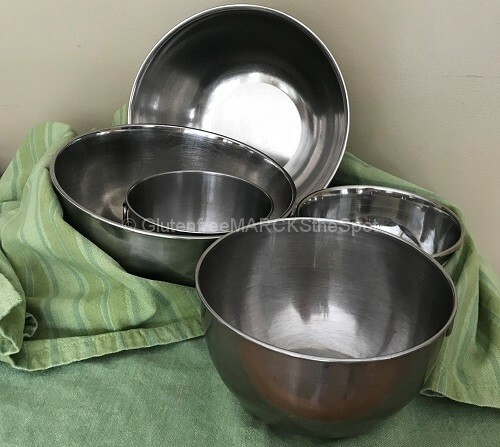 Wow, I think I have been using these stainless steel bowls for close to 25 years! And I have to say, we use these just about every day. Find a good set with lots of different sizes – you’ll use them and they last! 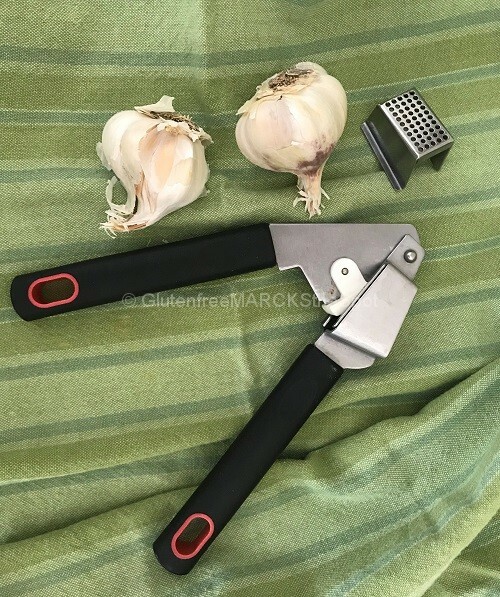 A garlic press is such a fun gadget. It makes adding garlic to your dishes a snap. 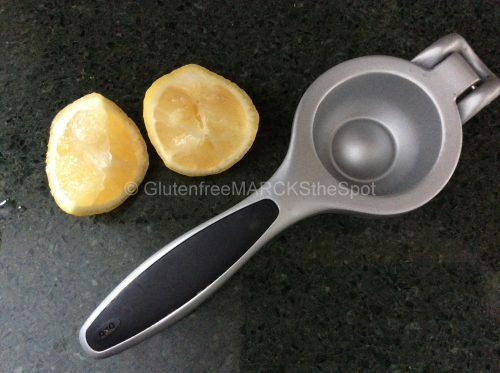 No more dicing and chopping – just a quick squeeze! This is a quick way to add a lot of flavor and health to your dishes. 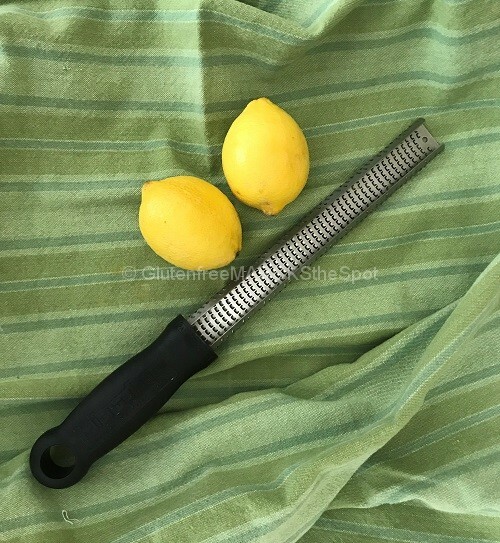 My kids love our lemon press. Actually at one of my recent children’s cooking classes, all the kids went crazy for the lemon press! As they all had to try it out, we ended up with a very lemony hummus! This makes adding lemon to your dishes fun and easy. A spiralizer can add a “fun twist” to your kitchen. This is a great gadget to use with children. When they’re involved in cooking the meal, it’s more likely for children to eat what they’ve prepared = win! 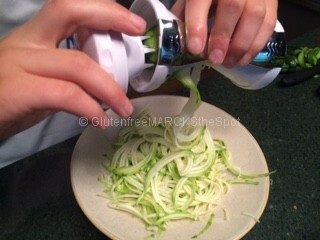 A handheld spiralizer works well. It’s also great to bring along on vacation or road trips. A larger counter top spiralizer works better if you’re working with a lot of vegetables at once. These scoops are a lifesaver for baking. They evenly spread out the right sized cookies or amount of batter needed for muffins – making baking a snap. Today, I wouldn’t bake without them. A zester is another one of those fun toys for your kitchen. They quickly add a lot of flavor with little effort. Adding lemon or orange zest, or grated ginger to a recipe or dish can really enhance the flavor and kick it up a notch. Fun and easy to use, with a big return on flavor. We are cutting, dicing and slicing every day in our kitchen! A cutting board is a must. Is it time to ditch your typical plastic cutting boards that have been around forever? 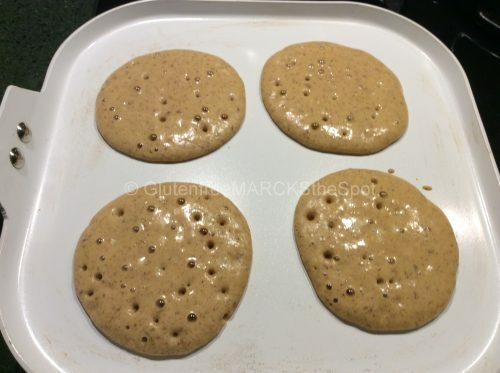 They can hold onto gluten so you need to think about how you use them. 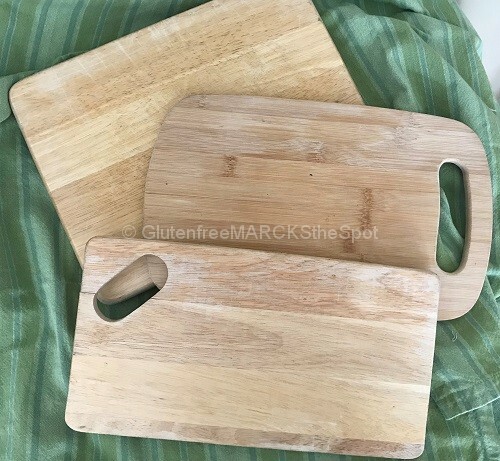 Buy a good wooden or bamboo cutting board. Invest in a new cutting board to start chopping. I could probably go on and on about all the great items in my kitchen that I truly use quite often, and many every day. Our juicer, Cuisinart (both big and small), Kitchen Aid mixer, Rice Cooker, all of the measuring cups and spoons . 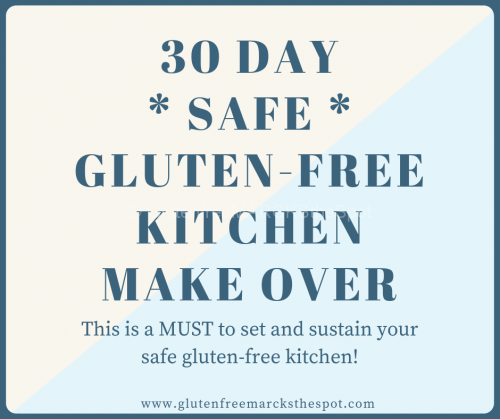 . . all make my gluten-free kitchen safe and workable. I just purchased the one item I don’t have – an InstaPot – cannot wait to comeback and tell you how it works! What is your favorite kitchen essential? *As an Amazon Associate I earn from qualifying purchases from affiliate links found on this page. 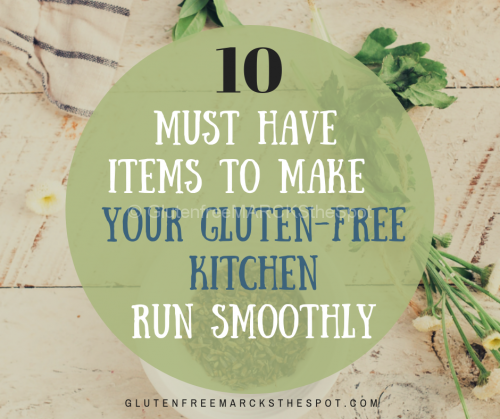 This entry was posted in Gluten Free Living and tagged gluten-free kitchen, gluten-free kitchen essentials, items for your gluten-free kitchen. Bookmark the permalink.